Raise your hand if you love cheese! Just kidding, put it down….you know I can’t really see you right??? Don’t worry though, I know how you feel. I felt your fervent love of cheese from all the way over here. Because who doesn’t love cheese? Even people who can’t eat cheese WISH they could. What’s not to like, really? Cheese makes everything better, and that’s a fact. Recipes containing cheese practically write themselves because I can literally start with cheese, open my fridge and grab 5 other random things to add to that cheese and BAM! Delicious. My one caution about buying pre-shredded cheese is that you should be aware that all shredded cheese has added starch to coat the shreds and keep them from sticking together in the package. That can add a gram or two of carbs per serving, so if you are on a very low carb diet (20g or less) you may want to opt for the block and shred it yourself at home. 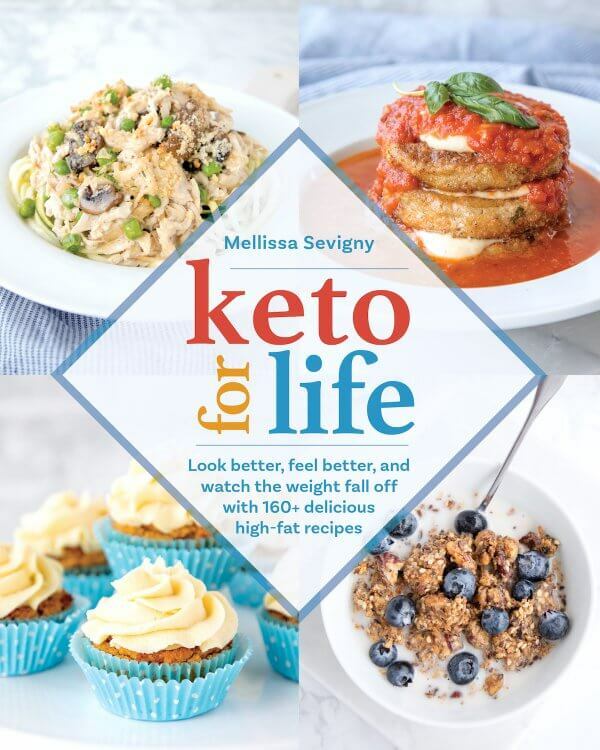 Another option is sliced cheese – I sometimes just layer the slices in a keto casserole recipe like this one, or the Easy Cheesy Cauliflower Gratin, which uses slices of pepper jack cheese. Loaded with flavor and super easy to throw together, you definitely need to check that keto cauliflower recipe out if you haven’t already! This cheesy keto casserole recipe has a spaghetti squash base, then a layer of cheese, a layer of sour cream, a layer of chili, and then more cheese (of course.) It’s hearty and satisfying, but not so heavy that it will weigh you down. 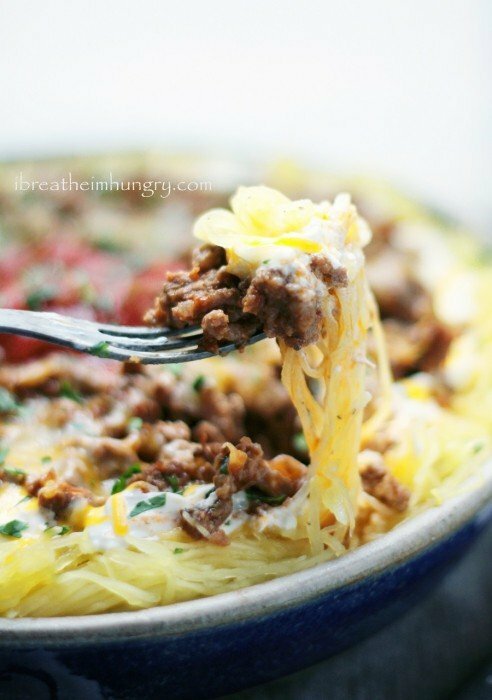 Whether you eat this tasty keto spaghetti squash casserole as is, or garnish it with your favorite chili toppings, this one is going to be a hit with the whole family! 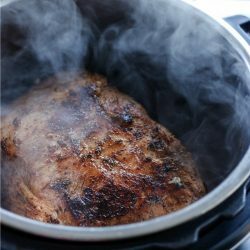 If you’re still not convinced, check out this 60 second recipe video to see how easy it really is! 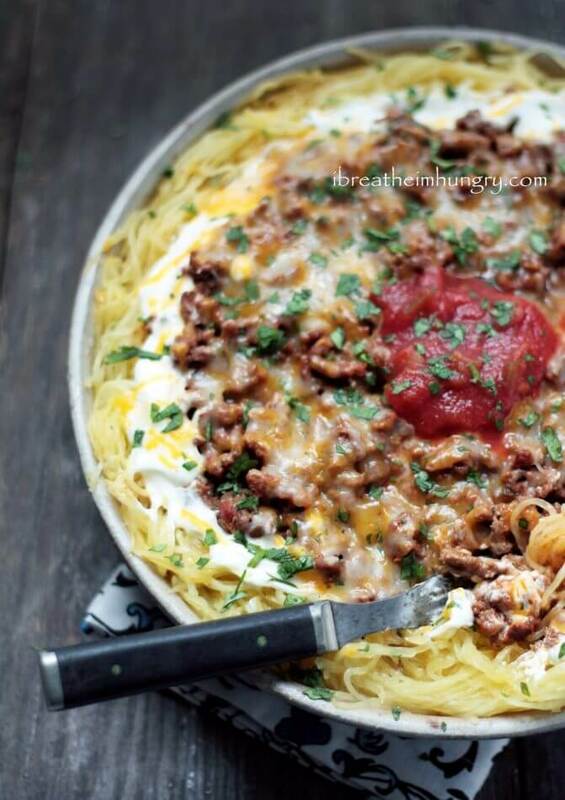 A low carb and keto casserole recipe loaded with chili and cheese on a spaghetti squash base. Easy to make and family friendly! In a medium saucepan brown the ground meat seasoned with salt and pepper. Pour off any extra fat and discard. Add the rest of the chili ingredients and simmer for about 10 minutes. In a medium bowl combine the cooked spaghetti squash and melted butter, tossing to coat. Spread the squash out in a 12 – 14 inch casserole dish. Sprinkle with 3/4 cup of shredded cheese. Spread the sour cream over the cheese layer. Spoon on the chili and spread it out, leaving a 1 inch border of spaghetti squash around the edge. Top with the remaining 1 cup of shredded cheese. Bake in a 350 degree oven for 30 minutes or until heated through. Sprinkle with cilantro and serve with sour cream, salsa, and guacamole or avocado slices as desired. I liked this, but to do over would not add the chilis. I enjoyed the heat but there were so many seeds, which was offputting. I do worry about whether I am doing this right, as this only seemed to make 4 servings. I was a cup short after cooking a whole squash. Nevertheless, all other ingredients measured as above, I used measuring cup for tonight’s and next 2 times this week. My husband didn’t measure, but looked about the same as mine. And, it is gone. WOW! My family scarfed this down. This is definitely going into my regular rotation. I roasted the squash in rings to keep it from being as watery. Next time I’ll prep this step earlier to save time at dinner, since it will be reheated when casserole bakes. This was one of the best dishes I’ve ever tasted! My husband and I devoured 2 portions for dinner and I can’t wait to eat the leftovers for lunch today! 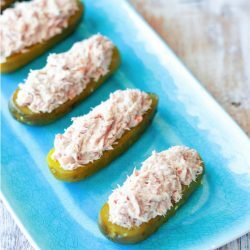 We just started Keto and this dish really sold my husband on the food he can eat (and really enjoy!) without going hungry. I’ve been eating Keto for about 3 months and cooked this recently thinking my husband and daughter would have no interest. They ate every last bite and wanted more. Great meal and everyone was satisfied! It might get a little watery when you reheat it after freezing – but I’m not sure. In theory it should freeze just fine! This didn’t taste like chili to me, it tasted more like taco meat. The amount of liquid added to the meat didn’t seem like enough to simmer out the cumin, I added a bit of chicken broth to keep it from scorching, it could just be that my salsa was thick, not watery so the meat mixture was pretty dry. Spreading sour cream on top of cheddar cheese is kind of challenging too. It’s not something I’ll make again but thank you for all effort you put into your keto recipes. 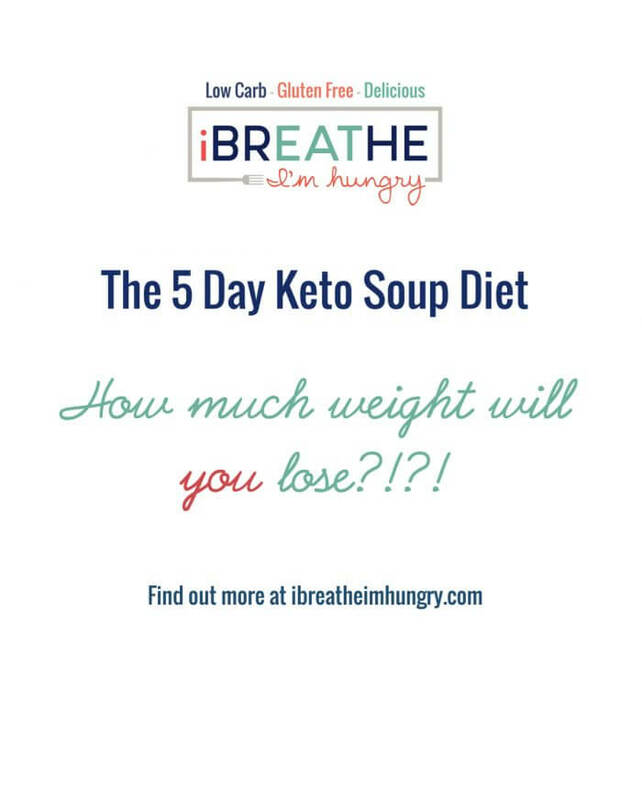 How is 6 net carbs in half a cup Keto or low carb? Half a cup, FOUR OUNCES, is not a serving anyone eats. 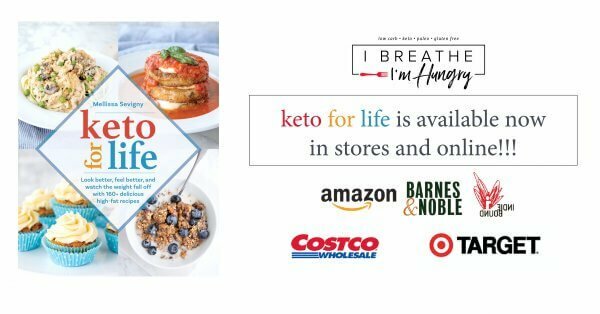 So many of your recipes are very high in carbs making it impossible for anyone to reach or maintain Ketosis. Since no one is going to eat half a cup, just this one serving is 12+ carbs and there are still several other meals each day for the Keto follower. I think you should be fair and honest and inform those who visit your site that you have yummy recipes but that they are far from low in carbs. The serving size is NOT ONE HALF CUP it is 1 1/2 cups. That translates to one and one half cups. One full cup. Plus one half cup. 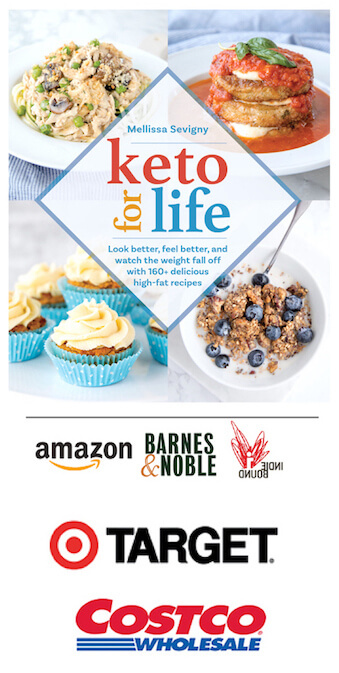 Perhaps before you took the time to dress me down here on my website where I provide free keto recipes that are, in fact, low carb – you should have made sure you were accurate. 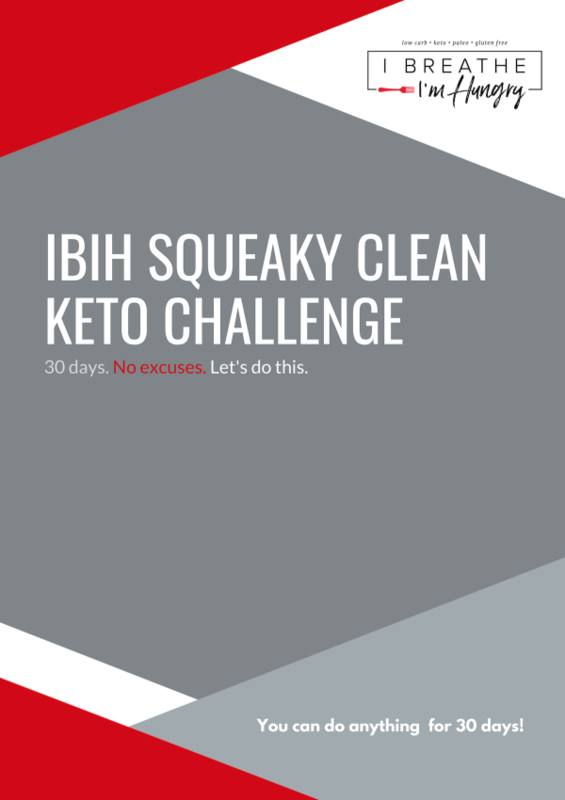 I am just starting on my Keto journey. Have finished my 3 Day Kickstart. 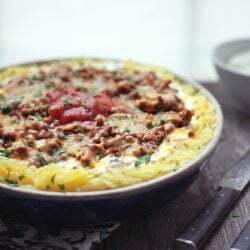 Now I am advancing on to the next step… My question… This CHEESY CHILI SPAGHETTI SQUASH CASSEROLE looks DELISH and I want to try it. My problem…I am allergic to any squash that is not orange. 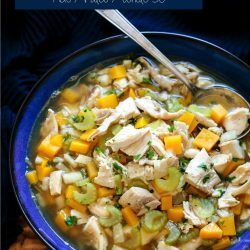 Many recipes I have run across use squash in them. What can I substitute that would not ruin the flavor of your dish? Try it with zucchini noodles! Oops! Zucchini is also a squash. I am highly allergic to. Have you tried to make noodles from Butternut or Acorn that have orange flesh? I don’t see any recipes using these squashes. You could but but of those are high in carbs and wouldn’t be suitable for a keto or low carb diet. If you aren’t concerned with carbs then those squashes would be fine. If you can’t use summer squashes, it would seem that shredded cabbage would be a good sub. What about using cauliflower, minced, with butter? Like the cauliflower rice? That could probably form to the pan to sort. This recipe was so good, I did use a hot salsa to amp up the spiciness. Definitely a new staple in my house. The only hard part is sticking to a 1.5 cup serving. My whole fam is obsessed w/ this one. thank you so so so much! We are too, thanks Stephanie! Easy! Delish! My kids ate it right up too. I put black olives on top of mind and figured them into my macros. Otherwise made as written. Yum. Will definitely make again. Thanks! I’ve made this several times and my family loves it! I have a little trouble with it being runny though. Should I do something different to the spaghetti squash to make it less moist? When I cook the squash should it be pretty mushy or still have some crunch? You want it to be tender, not mushy because it will continue to cook when you bake it. Make sure you are draining the squash thoroughly before putting it in the casserole pan! Hi! Could this be done in crock pot?! Thanks so much!! Theoretically yes, but I worry that the squash would turn to mush – let us know if you try it! This was so delicious!! I made it this week and ny husband loved it so much that I’m making it again this week!! We both started your week one plan last week, and we both love it!! Looks like we’ll be repeating week one since my husband wants this casserole again :). Thank you for all your hard work in laying everything out for us. You’ve made it so very easy!! 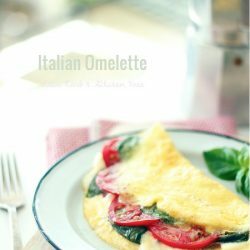 This is the first one of your recipes I have tried, and it was delicious! Even my husband, who is “meat and potatoes”, liked it. Thank you. Looking forward to trying more! 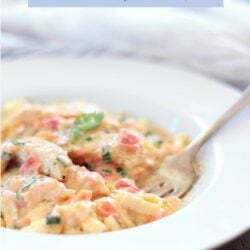 This is one of my FAVORITE low carb meals. It is also my husband’s most requested…. This was fun to make, easy and most delicious! Thank you!!!!!! I track all of my macros – I was plugging this into my meal plan for the week and the nutritional information seems to be off a bit. Can you verify? I’m confident in my numbers, but feel free to use your own. I’ll be honest, I wasn’t sure about this one, but I was so wrong! It was delicious! It tastes so much like tacos!! TACOS!!! This was so delicious! I’ve really been embracing spaghetti squash lately and looking for more recipes. This one is a keeper. Thanks! Made this for the first time last night and WOW! 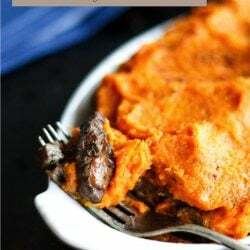 my new favorite fall dish. Looks complex but so easy to put together and comes out just as gorgeous as your photo. I actually used frozen spaghetti squash that I had cooked and shredded 3 weeks ago. I defrosted it completely, then squeezed it very dry with my ricer gadget. Worked perfectly. Baking a squash and having it on hand in the freezer is a time saver. Also used a Hot Salsa that added some extra kick. I normally don’t like leftovers, but this will be a treat to eat again today. Am also going to try freezing a slice to see if that works well. Hope so. And next week, I’m doing the Egg Fast again with the follow-up Egg fast the following week. The holidays are coming and I want to feel in control. Thanks so much. I pretty much eat exclusively your recipes as they are the best, yours and All Day I Dream About Food. You cannot get spaghetti squash where I live. I could use zucchini strips or something? I don’t see why not Janelle! Yup- I can’t get spaghetti squash in the UK. It is a RARE Find. I went ahead and used butternut spaghetti strips. I know its not the best squash to have but it worked. I think I could use courgettes too- I just wonder how much water that would create. Also from U.K. where it’s literally impossible to get spaghetti squash. I have just made this with courgette (zucchini), and replaced the chipotles in adobo (no chance of getting them here whatsoever) with chopped jalapeños and a little tomato paste. Stacey you’re right, the courgettes created a lot of liquid but once drained it was delicious! Need to work out what the nutritional difference would be but hopefully still fairly low carb. I had a thought. It may have just been me, but trying to spread the sour cream over the cheese was a little…interesting? I got it to work, but, well, next time, I’m going to mix the 3/4 cup of sour cream with the first half of the cheese and then spread it. I think it might make it easier going! I’m so excited to try this tomorrow!!! It looks amaaaaazing. Glad you liked it Rachel and your idea of mixing the sour cream and cheese will probably work great! Hope you’re having good success with the plan too, keep us posted on your weight loss! You’ve inspired me to try spaghetti squash and we loved it. My husband loved this recipe and wants to know when we are having it again. After avoiding pasta for so many years, it will be on my weekly grocery list for awhile. I’ve got lots of time to make up for. Thank you for sharing such tasty healthy meals. I always look forward to seeing what your latest creation is. Another definite winner, Mellissa!! Loved it! My family ordered pizza while I ate this and I wasn’t one bit jealous! But I’m certain they’re going to love it too! Seems like it will be great leftovers! This was SO GOOD! I haven’t made spaghetti squash in years because it’s so difficult to cut (and it was a lot of work cutting it for this recipe) but now that I see Melissa’s post on how she cooks her spaghetti squash, I will definitely try that way next time. My 12 year old said “I think the noodles are a little undercooked” tee hee. He didn’t even know it was squash until I told him. Will definitely be adding this to the rotation! This was absolutely fantastic! Will be making this over and over again. hi! Thanks so much for these recipes. They are fantastic. I have a question about serving sizes – although I’m following your recipes exactly, when I measure out the portions (I portion it out at once!) I am ending up with serving sizes that are smaller than what your recipes say – for this one, I got serving sizes of about 1 cup, not 1 1/2 cups. Do you have any advice for me? Hi Donna, not really sure why you’re getting less than I did when I measured it. Could be that mine had more moisture in it which bulked it up – it’s hard to say. If yours are a little different than mine even though you follow the recipe exactly, then just portion into the called for number of servings and that should be the right nutrition info per serving, even if it’s a little more or less than the serving size estimates. Thanks!!! OMG…yummo!! 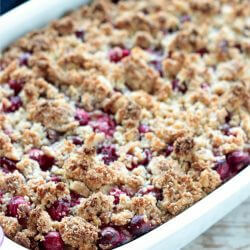 I am such a fan of all of your recipes, and this one is right up at the top of my list of faves! My children do.not.like. squash of any kind. My husband likes squash but wanted me to do something different with the spaghetti squash I had instead of just the typical replacement for spaghetti noodles. This dish was SO good! Even my children liked it. I couldn’t believe it! I will definitely be adding this to our rotation. Thank you! YES! 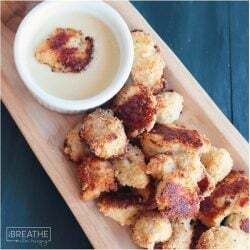 I’m always happy when my recipes can get sworn squash or cauliflower haters to convert – especially when it’s kids!!!! So glad they liked it, thanks for letting me know! You don’t even know how much I love this. The best spaghetti squash recipe I have ever had. Bravo! This Is Wonderful! Even My Hubby Loved It!! I need this in my life. Like right now. Like 10 minutes ago. You DO! You really really do!!!! Just wanted to call your attention to the fact that I have not been able to ‘pin’ this or a couple of other of your blog recipes of late. They won’t ‘pin’ from your page pin links or my own. Thank you Carol, I have found that they pin sometimes and then other times they won’t and it’s very frustrating because I can’t figure out why. My hosting company says it’s not on their end, it might be cloudflare, but it’s definitely hurting visibility and traffic on my newer posts. I’ll keep working on it – thanks! Thanks for letting me know Carol – hopefully this issue is resolved for good!!! interesting recipe, can’t wait to try it out. Quick question. How do you cook the spaghetti squash? Carlos I microwave mine whole (after piercing it a bunch of times) for about 20 minutes, then I let it cook for about 10 before I split it open, remove the seeds, and scoop out the squash. It’s easy and it works great! Enjoy! thanks Mellissa worked like a charm, recipe was delicious! You mean after you make the casserole? Then you bake the whole thing. Otherwise not sure what you’re asking! 20 minutes in the microwave should be plenty to get it soft enough to scoop out, but if it isn’t just hit it for another 5 minutes in the microwave. I am a little confused by your explanation. You said you microwave for 20 minutes then cook 10 minutes. How are you cooking it the 10 minutes? I’ve never purchased spaghetti squash so how many do I need for this recipe? New to this way of eating but have heard lots of great things about your recipes. Thanks for your help. Your explanation is confusing. You stated that 20 minutes is sufficient enough, but to continue cooking it for an extra 10 minutes before you “split it open, remove the seeds, and scoop out the squash”. I am reasonably certain the second “cook” was a typo for “cool.” Cook it for 20 minutes, then let it cool for 10.